Most of the time, managing SEO can be the most confusing and boring part of a business operation. While the various practices of SEO keep on progressing, people think that time and money spent for SEO are now more costly. 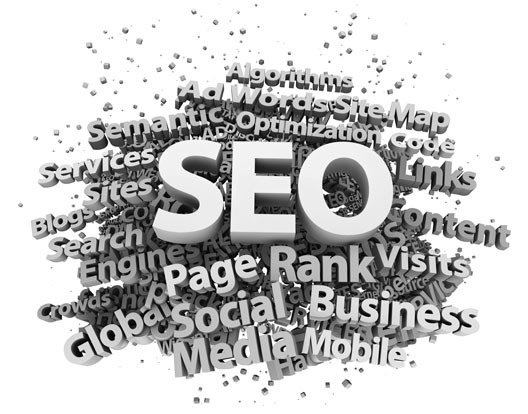 At times, expenses on SEO task are far greater than the likely profits to earn. Undoubtedly, SEO becomes more complicated as it grows, but the moment white-hat techniques are applied, everything turns out right and simpler in the long run. Spending lots of hours every week is not recommended once you’ve started applying the new SEO updates. For sure, these will regularly improve your site’s performance. 1. Give more value to your responsive mobile design. For the very first time, the onset of mobile device overthrew the use of computer desktop just a year ago. And almost close to 50% of the total online searches were done on handy mobile device. This results to a new perspective since Google alone accumulates the most number of searches—more than 1 trillion searches annually and the number continues to expand. What Google did is to improve their algorithm system allowing mobile-friendly and responsive websites to get higher search ranking. Today, all online sites are trying their best to go with the trend and employ a mobile-friendly site. If not, the ranking will be seriously affected and in the end you will lose your customers. When it comes to digital things, the use of mobile devices has now become the top choice of people to do all sorts of online activities. Create an impressive, responsive site and you stand out from the rest of your competitors. 2. Quality content still dominates. The results of this job are not attained overnight. Take the words of Bill Gates who said years ago that “content is King.” No one can go against Gate’s words. Websites with quality content really remain on top over those sites that don’t care about their content. Quality content remains and dominates and will not leave the World Wide Web. The trick here is not to use keywords that puzzle the audience because the content will only oppose with Google’s rules of SEO. As an option, you can offer rich information and try to use original, high-quality content related to your niche. Through that, your chosen keywords can optimize their role when applied within quality content. You can try Google Adwords to help you find closely related keywords you might want to use. Distribute your quality content all over the Internet by using different channels to expand your online visibility. Get started by blogging and actively participating among popular social media such as Twitter, Google+, Facebook, Linkedin and others. To reap your higher Google ranking, always create informative blogs from useful sources like “how-to” articles, “tips,” “guidelines,” etc. 3. Try, measure and change. Trying, measuring and changing—these are three important things in evaluating the performance of your site consistently. The visible results of your SEO will help you figure out the best thing that works for your SEO tasks. It will reveal which ones are better to use and which ones are not helpful at all. Gauging the results and modifying them accordingly are essential in maintaining the high ranking of your site. By refining the techniques used in SEO and giving way to new tactics, you can easily reach your target market. Google Analytics helps in identifying your site’s performance directing you to continue maximizing your SEO. In the long run, you will reap more traffic and fresh customers. 4. Use visual effects and photos. Photos within high-quality content give reasons for 75% of all posts to be shared on Facebook. The world of digital days is overwhelming and ignoring videos and photos in your content is a losing battle for your blog. Embed videos, insert images, as well as slides or anything that draws visitors to click on and generate views. Below are a few helpful tools to further enhance your posts or pages. However, keep in mind that real content matters most for Google and not the captivating media that you placed. SEO is exactly what you need for your business to grow. Good things only follow when you start it right. What matters most is familiarizing yourself with the key factors and getting the necessary tools to use. Then you can expect enormous growth in your business. If you know other SEO trends that really work, we appreciate sharing your thoughts with us!